Scandinavian style is in the spotlight. Or should I say the natural light? 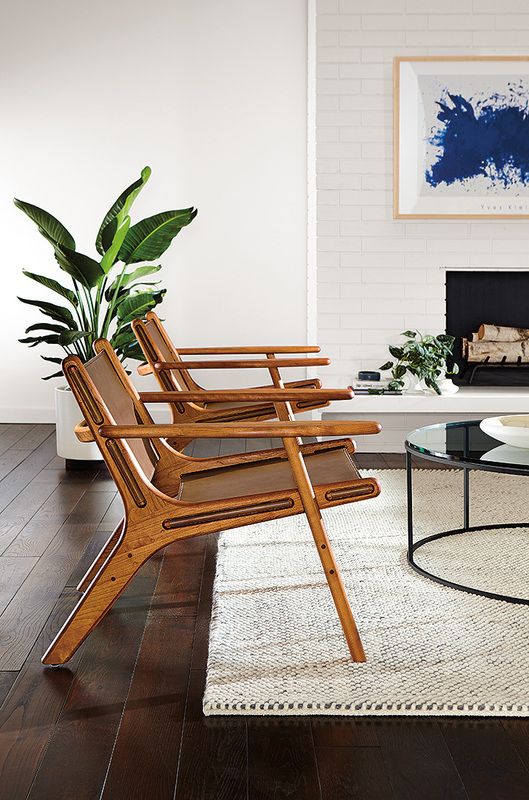 This furniture design style seems to be everywhere, but it’s anything but trendy. Scandinavian style draws on natural materials, organic forms, light finishes and focuses on what is truly necessary for a space to achieve its timeless appeal. And while we’ve taken hygge to heart, lately we’ve been inspired by the Swedish word, lagom, meaning “just the right amount. Not too little, not too much.” It’s thoughtful, it’s purposeful and it is so Room & Board. See a few products that have taken cues from this classic style and feature a modern twist for today. 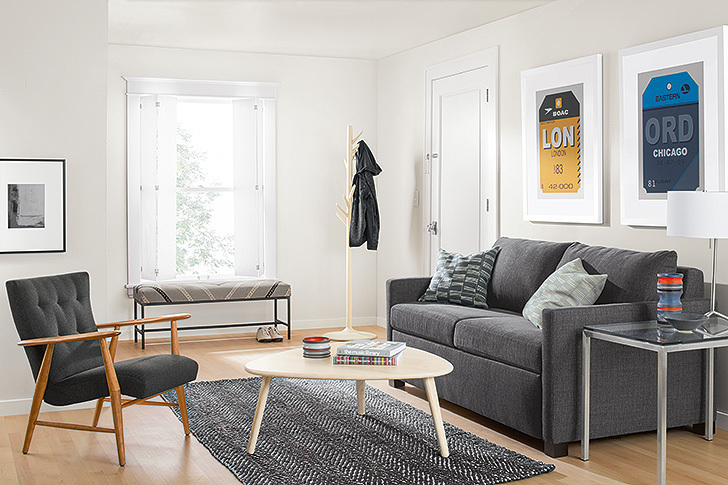 Anderson sofa | Scandinavian-inspired design and modern details come together in this sofa. 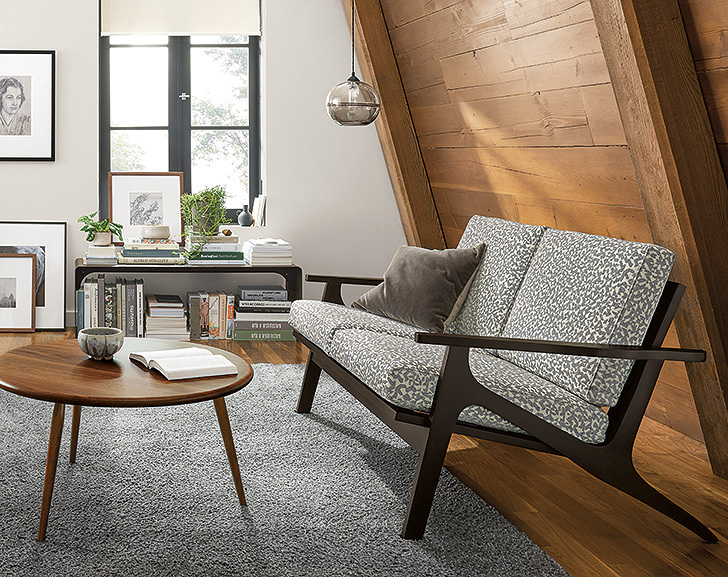 Flange seams and a unique angled back panel give this piece a casual yet tailored feel, while the versatile sizes allow it to accommodate any space. Lars lounge chairs | Sculptural, with a modern mix of materials for a masculine, yet warm appearance, the Lars lounge chair will be a focal point in any room. 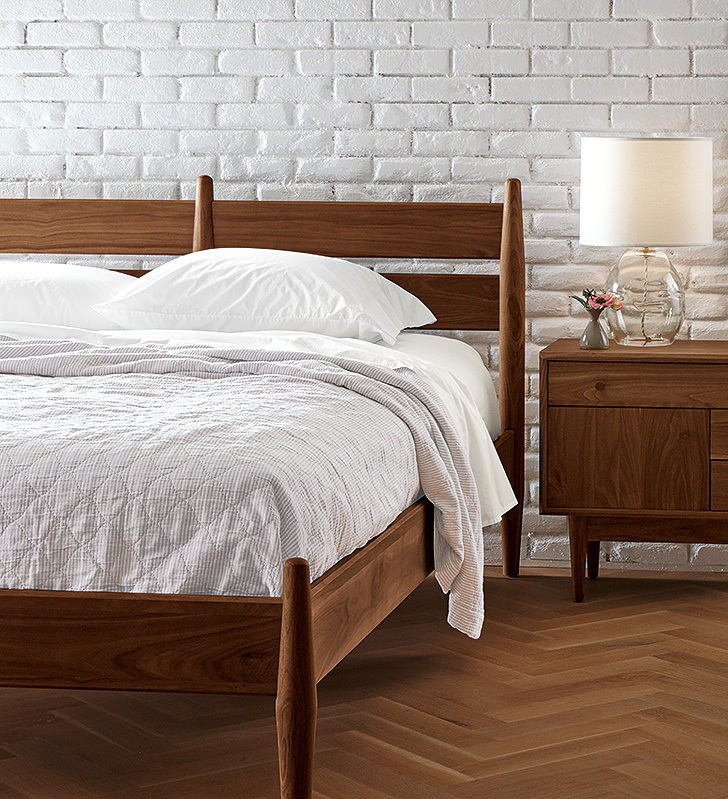 Built in Vermont from U.S.-sourced solid wood. The soft curves and detailed craftsmanship ensure this chair will age beautifully. Sanna loveseat | Featuring a solid wood frame with artistic angles and loose back cushions, the Sanna loveseat evokes a mid-century (the height of Scando inspiration) feel. Sanna highlights a classic mix of materials that make it a beautiful piece to float in a room. Jonas lounge chair | The Danish-inspired Jonas chair is as lovely to look at as it is to sit in, making it a study in Nordic design. Every surface of the wood is sanded to a satiny smooth finish and contoured for your comfort. The plush seat with blind tufts adds a distinctive modern detail. 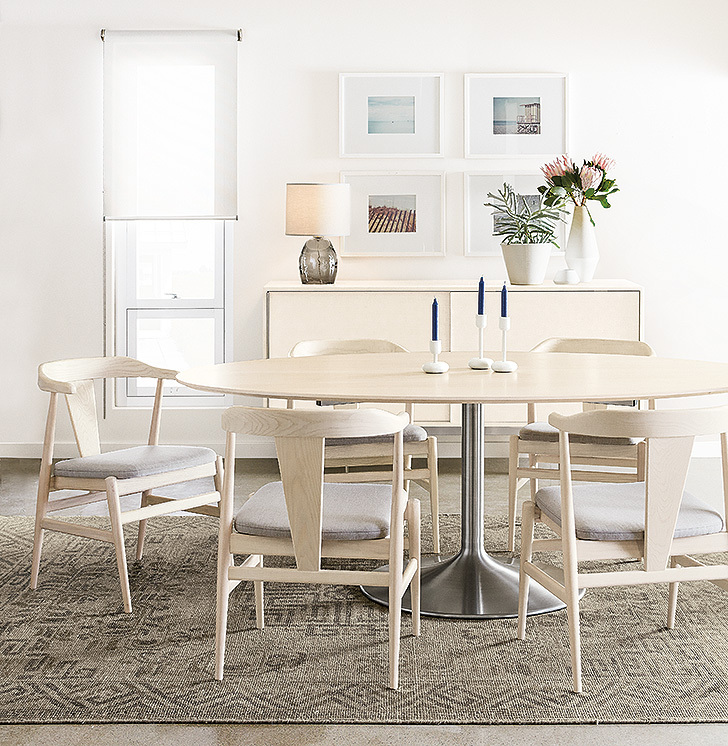 Evan dining chairs | One of our favorite elements of Scandinavian style is how comfort sneaks up on you. The Evan is chair is not only light and beautiful, but the wood is silky soft and the seat is so comfortable you’ll be surprised how long you linger at a meal. 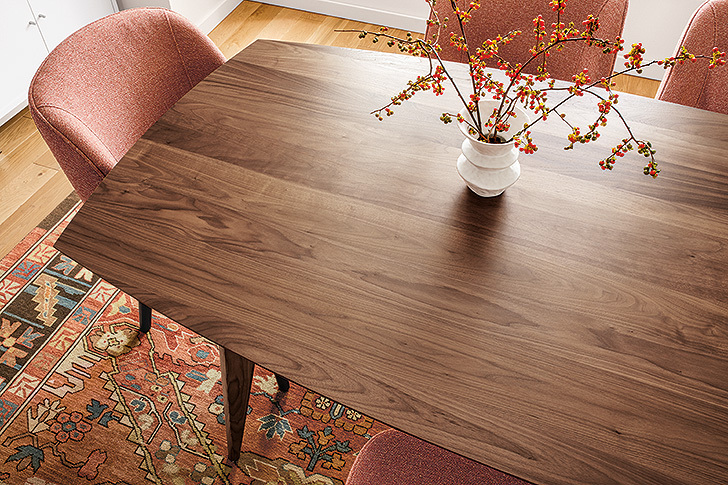 Ventura table | Another tell-tale sign of Nordic inspiration? No design detail is an accident. 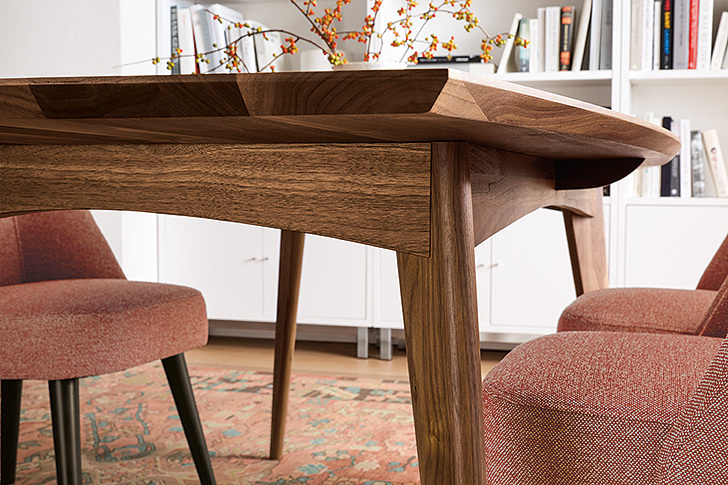 Evident in our Ventura dining table, every shape and edge of this table show meticulous attention to detail. No pointy corners. No excess material or space. Just smart, classic design. Anton bed, dressers, and nightstands | Anton is so simple and clean we can barely contain ourselves around all the Scandinavian inspiration. The design lets the craft (made in North Dakota) and material (domestically sourced solid wood) do the talking. 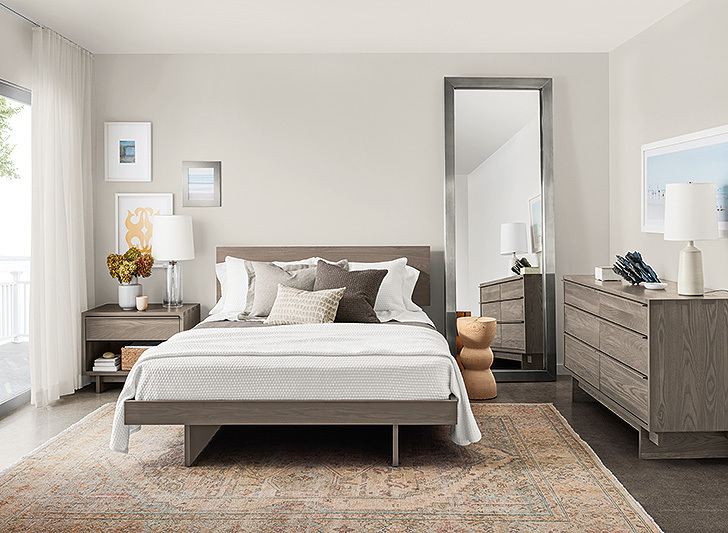 Grove bed, dressers, and nightstands | The Grove collection is decidedly Danish-inspired with its turned tapered legs, softly beveled case, and oil-and-wax finish that highlights the wood underneath. 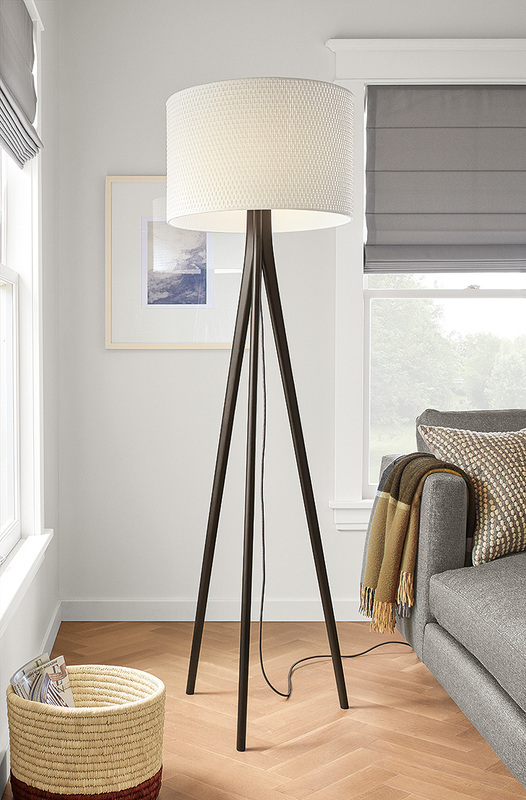 Lane floor lamp | Inspired by the evolving legs and arms of Carl Hansen and Hans Wegner chairs, the eye and hand could move along the form of our Lane lamp and find unexpected movement and softness. A fabric-wrapped cord shows how no functional detail goes untouched. 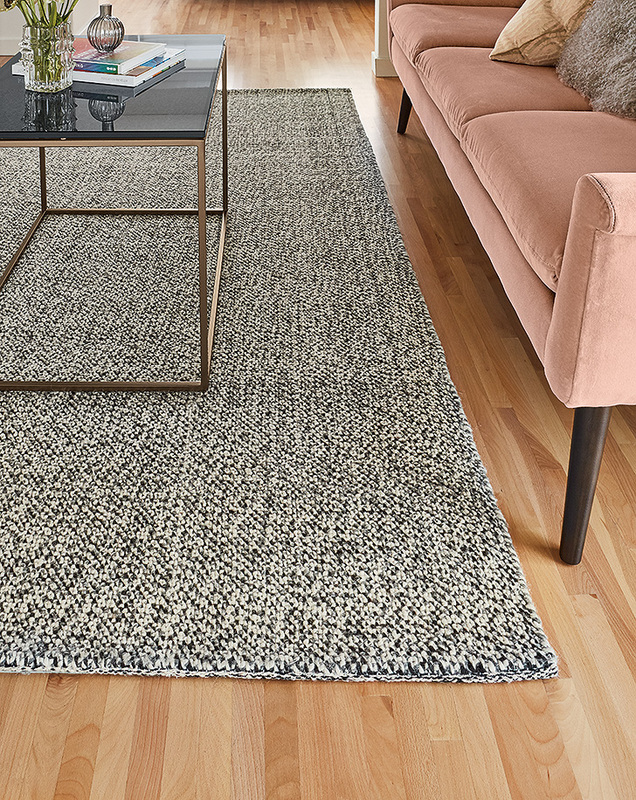 Tenza rug | Is it just us or does the Tenza rug look like your favorite sweater? Probably because of its plush, dense weave and hand-woven polyester/wool blend. So, it is a sweater. Just, you know, for your floor. 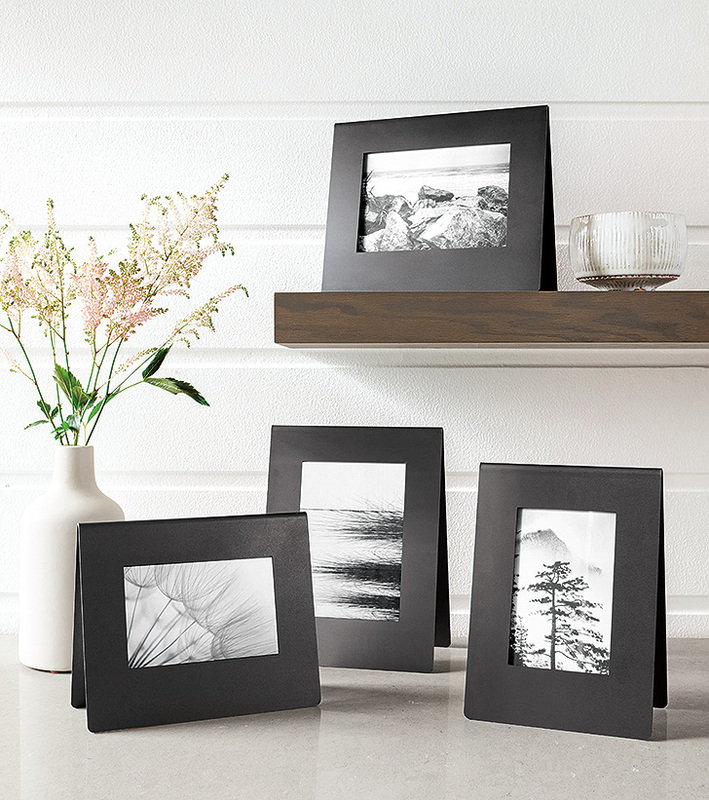 Bend picture frames | These picture frames are inspired by the strength of steel and minimal use of the material. Clean, light forms balance high function to form a clean, timeless design. 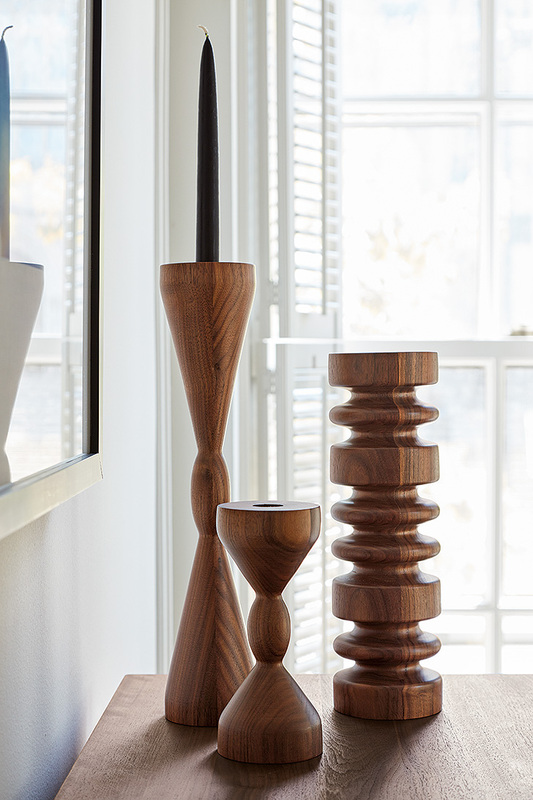 Astor & Halifax candle holders | These candle holders are made from solid wood shorts and are reminiscent of Scandinavian hand-turned objects. Both Astor and Halifax are turned on a lathe in a small woodworking shop in Massachusetts. Sundby outdoor lounge chairs | The Sundby outdoor chair is a fresh take on mid-century design. The low profile and approachable scale let you easily place it anywhere in your outdoor living area. 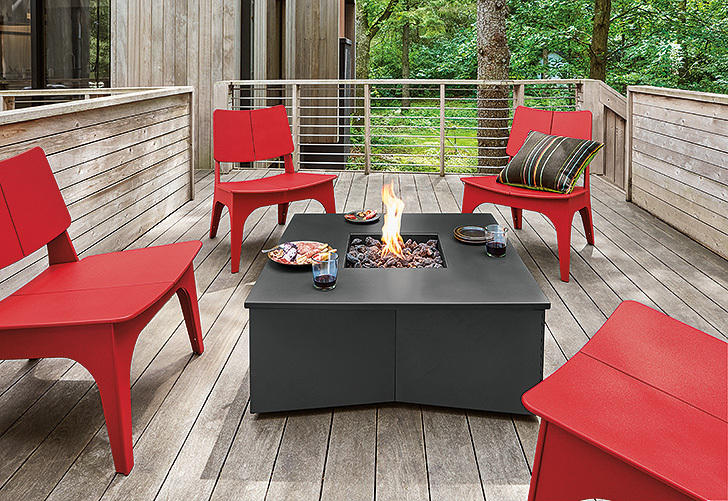 Eco-friendly, durable and easy to care for, Sundby is an outdoor classic.